Bit of an odd day today at the dam, where we had 11 boats racing. 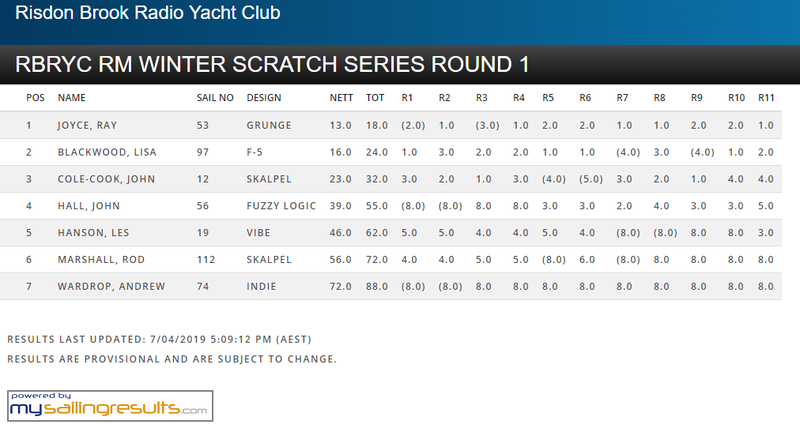 Scratch racing started in upper A rig conditions in a north to north easterly breeze, which created difficult & changeable conditions at the top mark 7. After 3 handicap races a front came through, forcing all boats to scurry for shore for a rig change, early lunch & various repairs. After lunch, the racing continued in again NE B rig fronts interspersed with big lulls - to add to the difficulty, weed became a problem - so not the most satisfying day to race despite the warm temperature. Having a chat with Wayne Court, he says TasWater has dropped the dam level to try & kill the weed which is of an invasive nature, which reduces the effect of added chlorine to the water. Apparently, a traxcavator will be used around the waters edge to try & remove the weed - we shall see. Wine for 4th, 5th & 6th today (Peter Germain, Wayne Behrens and Andrew Wardrop). An excellent mornings racing today at the dam, with 13 skippers starting in top of A rig. 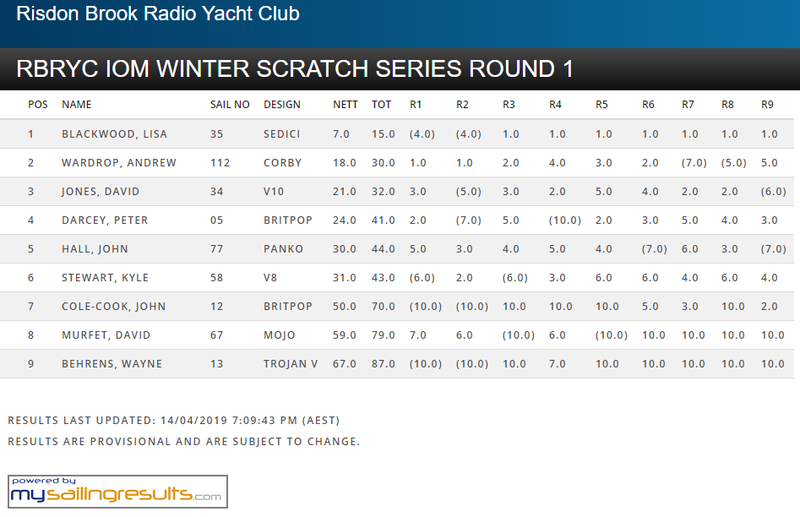 NW conditions with most skippers going to B rigs as the racing progressed. Course was from 3/4 to 8/7,5/6,8/7 to gate & 3/4 finish, giving some long beats & runs thus creating some passing lanes. Particularly for those who played the shifts upwind. 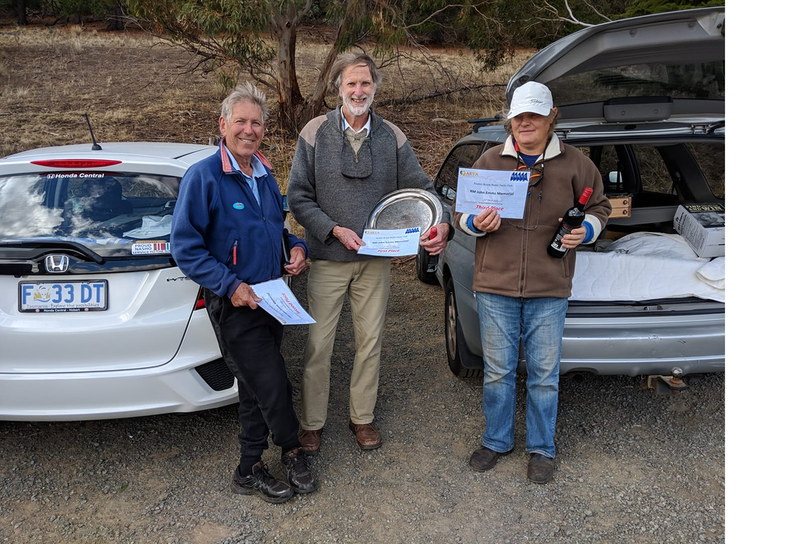 Wine for the 1st three places today, Dennis lees, Andrew Wardrop and Rob Cooney. Peter with 183 was also quick but the handicapper was a bit tough on him - we shall see. A modest fleet of 9 boats fronted for an hour of racing prior to the start of the handicap series. 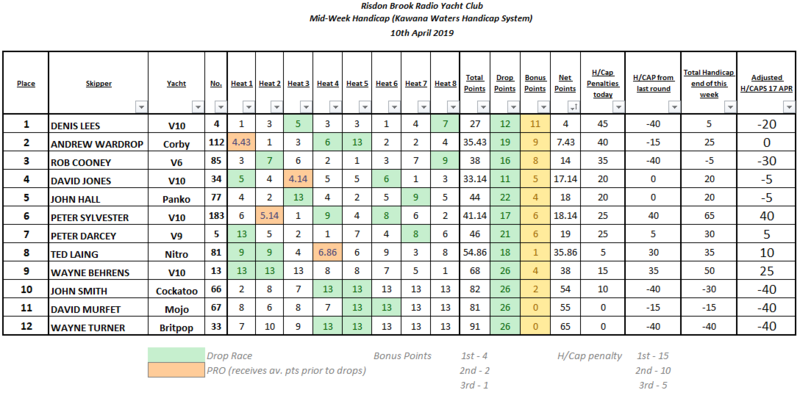 The wind was predominantly but not always out of the west, making it difficult to get a decent windward beat, so most races had a reaching & running bias. 54 made a reappearance today - only its second sail in the past 12 months but it had fairly good boat speed all day. Jammy had intermittent radio problems which kept him a bit quiet & Chris Wood with 40 as usual sailed well. The handicap series achieved 8 races with 99 having a hat trick of wins with Richard also sailing 14 consistently. A good mornings racing despite the variable conditions. ​We have waited four Wednesdays for a decent breeze at the dam, and today we had superb sailing conditions with a mid/upper A rig northerly breeze, with some shifts that kept everyone on their toes. Thirteen boats were racing with the 14th a non-starter, due to a rudder servo failure. The skipper however, was seen later sailing 183, and putting up some very good results. The scratch racing prior to the handicap series was the domain of Rod J and Jammy, with a few others getting a look in from time to time. The handicap series was a start a t5/6 to 8/7 to 5/6 to 8/7 with 3/4 as a gate and then finishing at the start. The Sylvester/Behrens combination sailing 183 ( not at the same time ) may well prove that 2 heads are better than one. 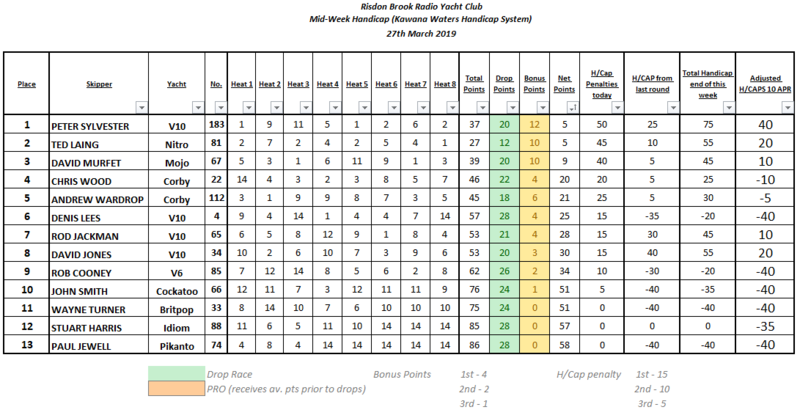 Ted Laing came in second, by countback, with David Murfet rounding out the podium in third, just four points behind. Many thanks to John Banks again, for conducting a really good day. At lunch time, Chris Wood led a discussion on the Strategic Plan prepared by Rob Gavin. People seemed happy with it. The one suggestion that arose from Rod J who is about to disappear for his usual 6 months crocodile hunting expedition, was to trial one Wednesday a month as a scratch racing day with some of the better sailors being rostered out to provide coaching advice. As there was general support we will flesh this suggestion out next Wednesday to see how it might all work. 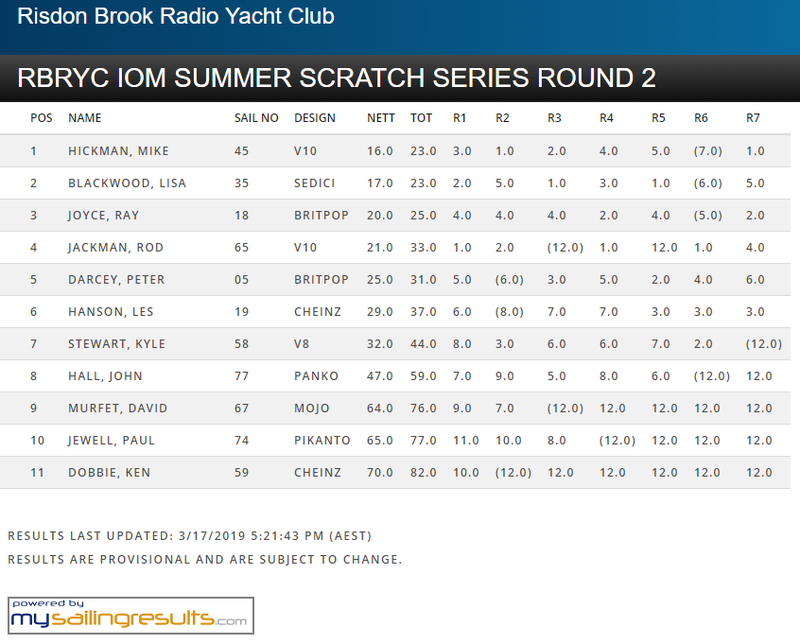 ​Great conditions today at MBYC, with A and B rigs mostly used. Looked like a C may have come out at one stage as well. Unfortunately, Ray and Andrew had some electrical issues and were then happy to act as Pro and assistant – thanks guys. 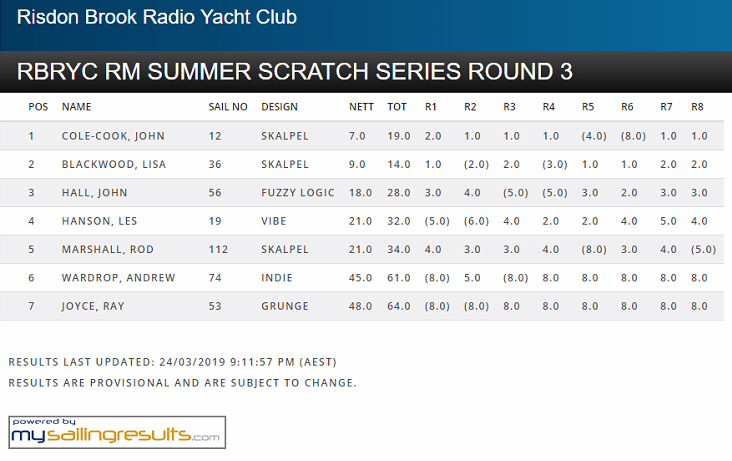 Looks like it was a race split in to two, and very close between each group, with Lisa, in her new Skalpel fighting against John Cole Cook, in his Skalpel – just two points separating them, with John coming out the winner on the day. Pleasingly, the other three on the water also had a real close tussle, with Joh Hall coming in third place, on 18 points, and Les Hanson and Rod Marshall tying up just three points behind. Great practice for the John Emms Memorial for the RM’s next weekend. On the John Emms Memorial, a few skippers will be venturing out to MBYC in the next week for a bit of tuning and practice. At this stage, possibly Tuesday (fairly windy and just off high tide at 4pm), Thursday (ideal tide at 4pm) and/or Saturday (tide not great so wet launching likely). Contact Kyle if you are interested and would like to be included in communication on tuning days/times once organised. It will be based on amount of interested people, with three sailors a likely minimum. ​Another very light day at the dam with a long delay before the racing could start, today being about the 4th light air Wednesday in a row. The races held were extremely slow, and by lunch only two were completed. The dam levels have fallen again, so the low level has made sailing even more difficult. After struggling to five races, the fleet pulled the pin. Bragging rights were with Stu Harris and his woody . The wine went to 4th & 7th – congrats David Murfet and Chris Wood. Hopefully better conditions next Wednesday.